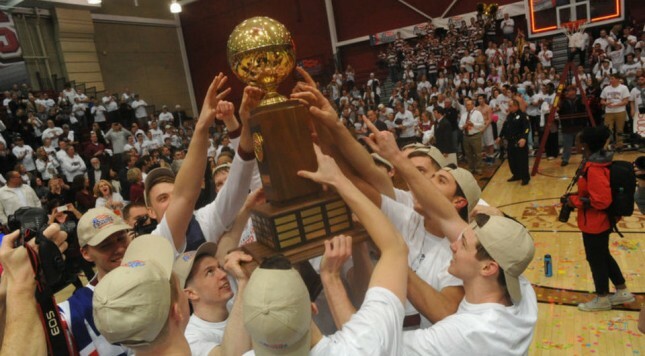 Last year’s Patriot League title game was bereft of the 1 and 2 seeds in the league for the first time ever, as Lafayette took down American to make its first NCAA tournament since 2000. It will likely be a short lived stay at the top for the Leopards, who lose their two best players to graduation, but there are a number of teams looking to take over the top spot. The best returning player in the league is Lehigh junior Tim Kempton. Kempton led the league in rebounding and finished fifth in scoring, shooting 49 percent from two despite taking over 30 percent of the team’s shot attempts when he was playing. Kempton, the son of former NBAer by the same name, might be carving out his own NBA future with a couple more standout seasons at Lehigh. He will need to have a big season in order for Lehigh to have a chance to make the NCAA tournament, as the Mountain Hawks finished just 8th in the league in offense. Of all the smaller leagues in the country, the Patriot League is probably my favorite. It’s not quite the same as when it was formed, but the league is still primarily comprised of smaller academic based schools yet still manages to offer entertaining basketball. The league has put multiple guys into the NBA in the last handful of years, and last season teams in the Patriot League put up a 51.4 percent effective field goal percentage, which was second among all conferences. Last year’s league champion Bucknell looks like a good bet to repeat, as the Bison return a lot of scoring from one of the least experienced teams in the country. One player not returning however is JC Show, who is transferring to Binghamton. Show shot 37.2 percent on 3-pointers last season, which will be tough to replace despite the fact the Bison shot 41.2 percent on 3-pointers as a team last league season. The Patriot League has not been the easiest for me to predict over the years: Last season I thought Army had a chance at competing for the regular season title, and the Black Knights ended up just 6-12 in conference play, including a six game losing streak in the middle of conference play. Army will be loaded with seniors this season, so even with having to overcome the recruiting disadvantages at an academy, Army should have a chance to contend for a tournament bid this season. I know I will be rooting for them.